The Mass Spectrometry Laboratory at the Bioanalytical Core Facility of the CBBM was established in February 2016. 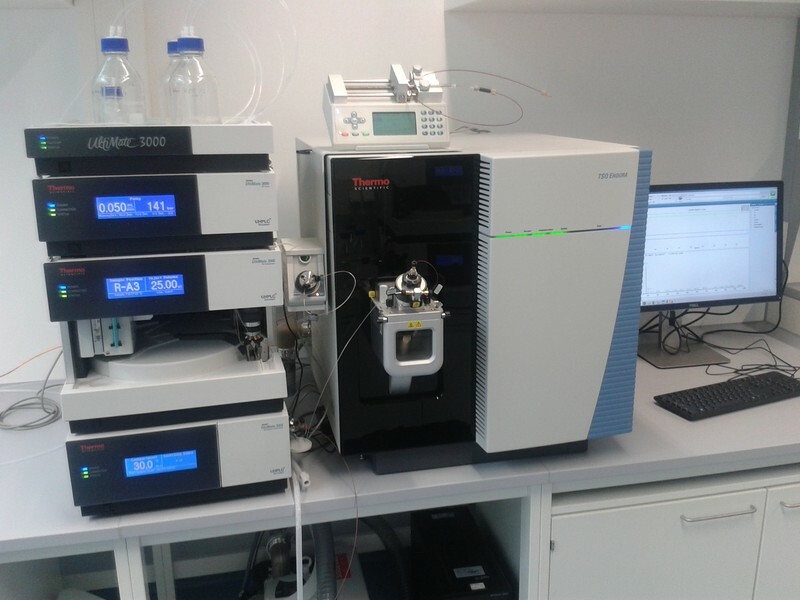 The lab`s main mission is to support research groups by providing metabolomic and lipidomics analyses. 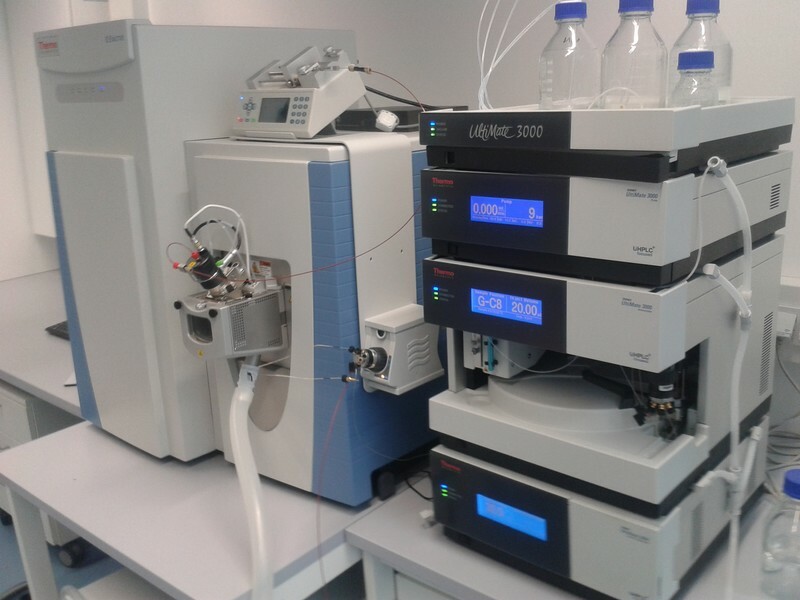 Moreover, it aims to promote mass spectrometry research competence in Lübeck by increasing the number of publications, research grants and personnel trained in metabolomics/lipidomics in a financially efficient manner. Omics data analysis and help with the experimental design for omics studies. For new method development projects, the mass spectrometry committee has to approve the project funding and secure that number of sample that will cover the cost of method development. Standard prices as stated in the user guidelines are € 40,-/sample for targeted analyses and € 80,-/sample for untargeted analyses, e.g. Lipidomics and Metabolomics screens. Method development for new methods, which are not covered by the core facility's current scope, costs € 70,-/h; cost for method development can be negotiated, depending on the amount of samples to be analysed with the given method. On the Q-Exactive, untargeted analysis (profiling) is performed which is usually applied for global screening of the metabolomics/lipidomics profile. Moreover, the TSQ-Endura platform offers a better sensitivity to quantify a specific metabolite or set of metabolites in a targeted fashion. This dual untargeted and targeted analysis allows for both discovery and validation, while also providing a standardized workflow for routinely analyzing large cohort studies. Liquid handling devices, ultrasonic bath, heating oven, sample concentrator with gas chamber, lyophilisator and medium-throughput tissue homogenization device.